Passwords can be changed in app by a user. 2. In the upper right hand corner is your account name, hover over it and select "My Profile"
3. 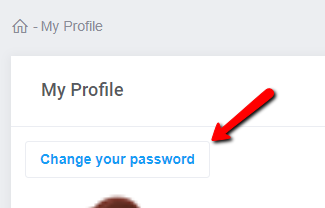 Then select "Change your password"
If you forget your password you can use the "forgot password" link from the login page. 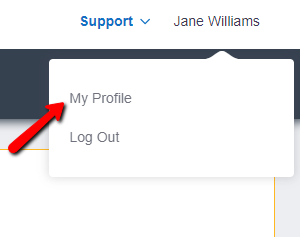 Admins can also change passwords directly - they can visit the "Employees" tab and edit their profile. One of the options under the "More Actions" menu is to change the password.